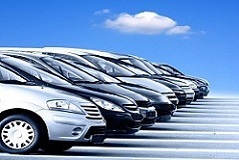 We offer a prestige insurance package for vehicles, mainly used in the fleet. The procedure of concluding insurance contracts and settling claims is quick and easy. All this to ensure full insurance coverage when using vehicles. We offer protection in the scope of civil liability of motor vehicle owners with respect to third parties in the event of damage to persons and property in connection with the movement of the insured vehicle. The subject of insurance are vehicles with equipment. The insurance covers damage resulting from damage, loss or loss of the subject of insurance. The insurance is based on the all risks formula. Accidental insurance covers the protection of the permanent consequences of accidents of the driver and / or passengers of the insured vehicle, arising in connection with the vehicle’s movement. Within Green Card insurance, Sogessur covers the protection of damages caused in the countries mentioned in the insurance document - International Car Insurance Card (Green Card System). The insurer is liable to the amount of the guarantee sum determined by the regulations of a given country, not lower than the amounts specified in the Act of May 22, 2003 on compulsory insurance, Insurance Guarantee Fund and Polish Motor Insurers' Bureau. Sp. z o.o., please contact ALD Automotive Polska Sp. z o.o. 1. In the event of a collision, traffic safety at the accident site should be ensured. 2. If there are victims in people, care should be taken to help the injured.